Since 2008, Play Me, I’m Yours has been installed in more than 50 cities and reached more than 10 million people globally. See tour highlights from around the world at www.streetpianos.com. 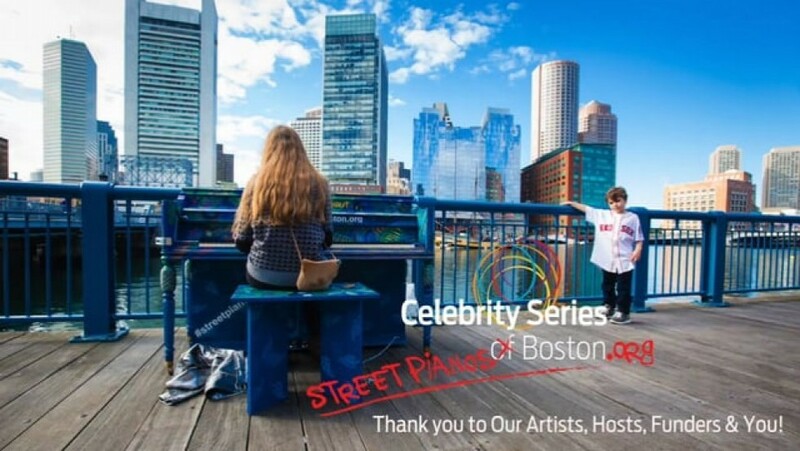 The 2016 installment was produced as part of Arts for All!, Celebrity Series’ community engagement program that reaches over 10,000 individuals annually through master classes; hands-on, interactive workshops for youth; free community concerts in Boston neighborhoods; free tickets to performances; and large-scale, public participatory performance projects such as Street Pianos Boston.